The U.S. central bank’s campaign to provide transparent policy guidance has lost its battle with market misinterpretation. Chair Janet Yellen, who helped nurture the effort, and other officials revealed the sad news this week. Its demise leaves investors worldwide bereft. 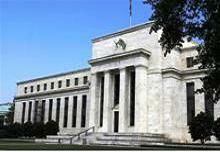 U.S. Federal Reserve Chair Janet Yellen testified before Congress’s Joint Economic Committee on May 7. In her prepared statement, she expressed the belief that recent economic weakness was mostly due to bad winter weather and other temporary factors and that she expected activity to pick up. She also said that the housing market slowdown could last for longer than anticipated. Several lawmakers asked Yellen when the Fed would begin raising interest rates, but she declined to give a specific timetable. She did, however, indicate that most of the Fed’s monetary policymakers’ economic projections indicate that rates would rise in 2015 or 2016. Governor Jeremy Stein warned in a speech on May 6 that as Fed communication becomes increasingly less precise, market volatility may rise.